We all make mistakes, and that also applies to writing code. But whether you’re just starting out or are a seasoned vet, making an error in your code can cause you a real headache. As we use all kinds of tools to help us with simple tasks, such as spellcheck for writing, an HTML (Hyper Text Markup Language) editor is no different. HTML editors have a lot of features behind them, and we will be covering that and much more when we look at the list of the best HTML editors. In hindsight, an HTML editor is used to write the foundation of a website. And while any text editor can do the job, it doesn’t mean you have to do it without any help at all. Added functionality, error checking and all around a more intuitive editor is something that can ease your life significantly. The very fundamentals of HTML editors are the same; they help you write code by highlighting syntaxes, insert commonly used HTML elements and structures as well as providing autocompletion. 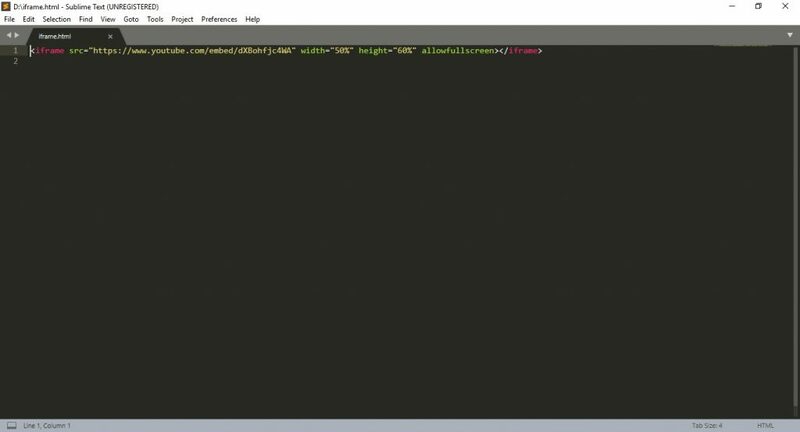 When should you use an HTML Editor? To put it simply, always! An HTML editor is invaluable for both beginners and more advanced developers. 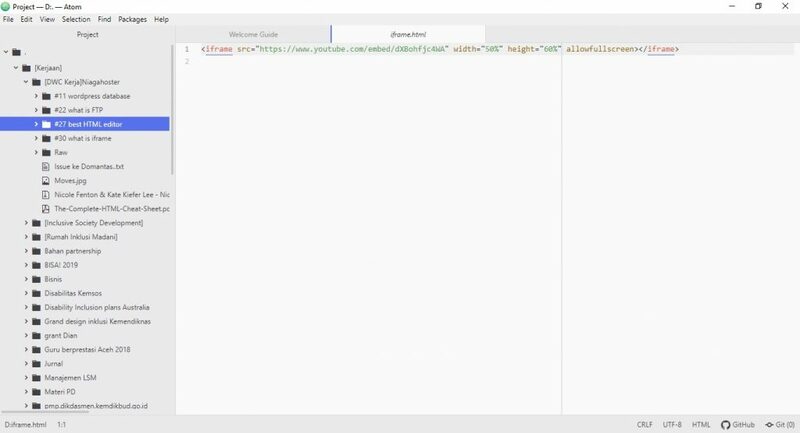 We already mentioned the basic features of HTML editors, like syntax highlighting, inserting common HTML elements and autocompletion. All this makes sure that your code is kept functional and clean with less effort, thus makes it significantly easier to do what you do best – code. For example, the editor will notify you should you forget to put the end tag </ in a code element. Therefore you should not limit yourself by not using some sort of HTML editor. There are two types of editors available, WYSIWYG and textual HTML editors. Let’s start by talking about the first type. WYSIWYG is the acronym for What You See Is What You Get. These editors provide an editing interface which shows how the code looks on a working web page. Using WYSIWYG editors does not require any HTML knowledge; therefore it is much easier to get started for an inexperienced user with no coding experience whatsoever. As the name implies, textual HTML editors are text-based. You should have HTML knowledge when using these types of editors. Features include opening files — either a single file, a whole project or multiple projects are universally available for all editors. When using a textual based editor, you can’t see a live preview of the site. This type of editor may provide more freedom and personalized options. Using a textual editor, you may better optimize web pages for search engines. For example, it’s possible to create a web page that follows the Web Content Accessibility Guidelines (WCAG), so that people with disabilities can view your web page. Since we discussed what is an HTML editor and when to use one we can finally sink our teeth into the actual editors themselves and pick the best HTML editor. We all have different tastes, and when it comes to choosing a platform for our work, where we will spend a lot of time on, it’s important to pick one that best suits us. Each editor has the same basic features. However, some provide more visual representation than others, more additional packages to install and so on. Atom is a relatively new editor that came out in 2014 and gained tremendous momentum since. Atom is a free, open-source code editor, it was developed by the GitHub team. Atom uses a free software license for their package and it is maintained by the GitHub community. They aim to offer a premium feel to the editor while keeping it completely free. As well as flexibility to customize the software itself. As for the tagline, they boast as the most hackable text editor of the 21st century. It means that developers can contribute to edit, extend, change, and share the program source code as well as create their own packeges to improve Atom. Let’s review the key features of Atom. Atom offers a slick design with a premium look to it. Available for: Windows, OS X, and Linux (64-bit). 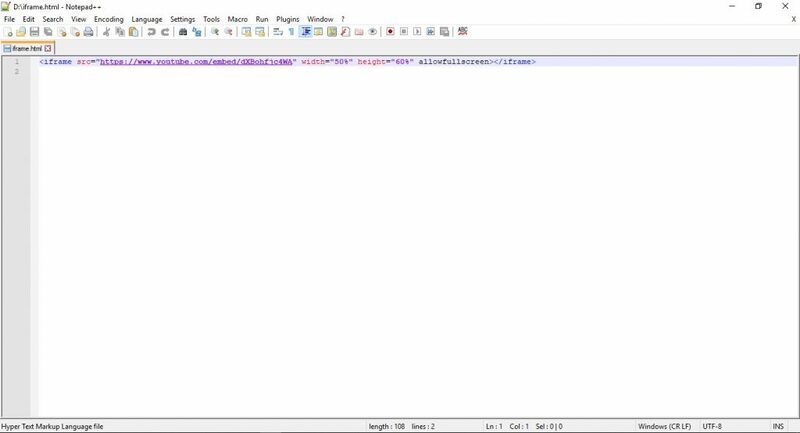 Notepad++ is an editor that was developed for Windows-based machines. Linux users can also use it via Wine. This editor is distributed as free software and its repository is also available in GitHub. Like other community projects, third-party plugins are supported. Notepad++ interface is minimalist, but developers can customize it. Sublime is another excellent HTML editor. Developed by a Sydney-based company, this software falls under the category of freemium. Freemium means that you can use Sublime for free, but you have to buy a license to enjoy the full features. Sublime offers great support to ensure that the program is constantly updated. Users can add plugins made by the community or build their own. We think using the free version of Sublime is more than adequate. However, if you feel like you need more features, you can get the license at a later point. Sublime Text interface is excellent in terms of aesthetics. Available for: Windows, OS X, and Linux (32/64 bit). Developed and managed by tech giant Adobe Inc, Adobe Dreamweaver CC is a premium, powerful, and versatile tool. It caters for both the back-end and front-end development. As a closed-source software, Dreamweaver is designed to work within the Adobe ecosystem. Adobe also provides support, plugins, and features to make sure you will always code seamlessly. Dreamweaver is one of the editors that support both textual and WYSIWYG methods. So, you choose whether you want to code with a live visual presentation or go the classical way. Dreamweaver has that high-class premium look, with a stunning aesthetic and design. After all, it’s made by Adobe, a respected company in the creative industry. Getting a helping hand to write code faster and more efficiently is becoming a must, now more than ever. Whether you just started coding or you’re a seasoned vet, we believe that an HTML editor can become anyone’s best friend. Features aside, picking the best HTML editor that suits you might be hard. We encourage you to experiment with different editors and choose one that fits your style and workflow best. We would also note that unless you need 24/7 support and manage code for a huge company, you will probably be fine with a free editor. In 2019 you don’t include visaul studio code in the list? Thanks for your feedback 🙂 We will update this article with more HTML editors soon and include VSC.